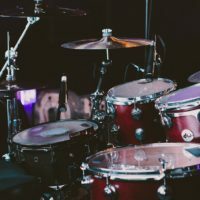 Electrifying your acoustic drums can be beneficial in many ways. They can really improve your live sound, as well as increase the sonic opportunities for your playing. There are several methods to make a hybrid drum kit, but triggers are a very convenient and cost-effective way. The main principle of working is quite simple. Basically, these devices are nothing more than a sensor that picks up the signal from your drum heads. It sends the signal to a drum module or sample/percussion drum pad by a wire. One of the strongest points of these devices is ease of use. The installation of these devices seems almost effortless. Basically, you only have to attach the trigger to your drum shell and connect it to a drum by a wire. Most of the manufacturers offer their own, patented mounting system, tough I would say that all of them are very similar. The process of mounting is extremely quick. A matter of seconds, I would say. Though most of us see drum triggers as studio and home practice devices, these units are actually amazing tools for live performances, especially for small venues where drummers can’t control loud drum heads and where assistance from professional sound engineers is necessary. If you have a quality drum module, you can adapt electronic sound so well that will closely mimic acoustic drum. Some of these devices are actually dual sensitive. In practice, this means that you can pick different kinds of sounds. For example, Roland RT-30HR is a dual trigger, which recognizes and separates rim and main head hits. This is really great for sound and effect diversity. Of course, these are just some of many great things about drum triggers. Benefits are numerous. Introduced about three years ago, RT-30HR represents a new generation of Roland’s drum triggers. It is a pretty compact and convenient device which fits pretty much every drum hoop, both classic and inward-curved designs. It is made of hi-quality ABS plastic, with a sturdiness that will stand any stray stick, though there probably won’t be many of them, thanks to the extremely low-profile design. You can count on long-term use for sure. The RT-30HR Dual Zone Trigger is designed to pick both head and rim strikes. It seems like an ideal tool to get a MIDI tone from your acoustic drum. An ideal trigger to play electric sources. Also, it is compatible with pretty much all related products from Roland, including TM-2, TD-series V-Drums modules, and SPD-series percussion pads. 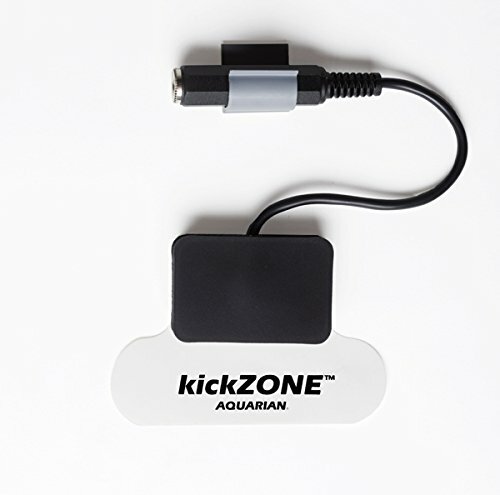 This device is one of the newest additions to Roland’s drum trigger lineup. Introduced three years ago, RT-30K is a trigger designed especially for bass drums. 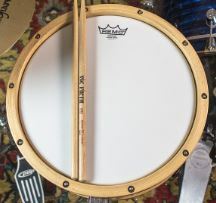 It comes with the company’s recognizable easy-mounting system that makes the drum ready for playing in a matter of seconds. One of the most interesting parts of this trigger is a convenient self-mounting system, which automatically puts the sensor in optimal position against the drumhead. Speaking of the sensor, it offers great sensibility and response. The trigger is made of hi-quality materials, mostly ABS. It seems very durable, definitely able to stand any stray hit of your mallets. Another convenient feature is compatibility with other Roland products, including TM-2 Trigger Module, TD-series V-Drums sound modules, and SPD-series percussion pads. A connection cable is also included. Pintech RS-5 could be a great choice if you are looking for a cheap alternative to professional triggers. Despite the low price tag, this product offers pretty decent quality. First thing you’ll notice is an interesting “Kwik Clip” mounting system, which actually works very well, and keeps the trigger in place perfectly. Besides quick mounting, this product also offers a decent-quality sensitivity and response. It can be used both for home recording and as a silent electronic kit converter. In the first case, you just have to connect the trigger with some drum software and create your own sample. On the other side, if you need a quiet electronic drum kit for some small gig, just mount RS-5 to mesh heads. It works amazingly. Finally, you can use this trigger even as contact mic for acoustic guitars. This kit seems like one of the most reliable trigger kits around, especially if we consider the price. Unlike most of the triggers that are sold separately, this product comes as a complete drum trigger kit that consists of five units. 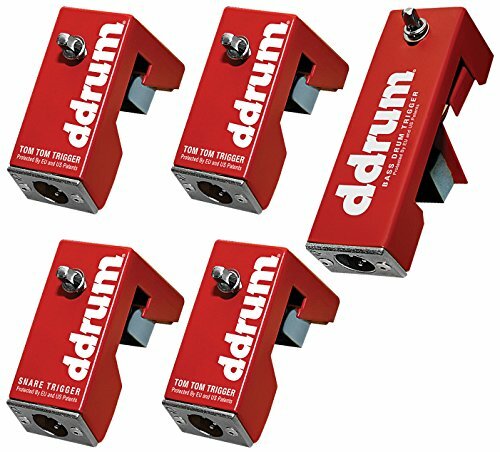 There is one bass drum trigger, one snare drum trigger, and three tom-tom drum triggers. Looks like it has everything you’ll need. All the triggers are simple and easy to use, the signal quality is very good and you can count on great sensitivity and response. On the other side, many consumers see its mounting system as the weakest point. Not that these triggers are hard to mount, or that they are unsteady. The problem is that there is no any kind of protection that will keep your drum shells from damaging. Another good trigger if you are looking for a cheap alternative. This one is a bass drum trigger, which comes with a pretty simple design. Designed to work off the vibration of any bass drum head, it offers decent quality and amazing simplicity of use. Though I would recommend it primarily for practicing, it could be used for live performances as well. One of the potential issues could be a mounting system for the cable. There is an adhesive backing that should keep the cord stable, though it doesn’t look promising. Some small modifications for better attach would be highly recommended. For the end of this short list, here is a product that comes from one of the most renowned names in the industry of musical instruments. This Yamaha DT-50K is a hi-quality trigger that comes with a lot of great features. First of all, it offers an excellent sound quality. Count on amazing response and sensibility. Also, it features a metal body, which guarantees excellent sturdiness and years of use. Still, the mounting system is probably the strongest point of this trigger. The system is quite simple but very effective. Attaching the trigger requires no more than a few moments. It is very safe, so you won’t have to worry about damaging your drum shells. Once mounted, the trigger works perfectly and don’t affect the natural drum sound at all. Once you get drum triggers, you are halfway in the process of acoustic drum electrification. The other part of the process would be getting a trigger module. This is the essential part of every hybrid drum kit, which works as a brain of a whole system. It usually features a bunch of sounds, on-board effects etc. Other inevitable parts of the trigger module are things like trigger inputs, PA and headphone outputs, MIDI ports etc. 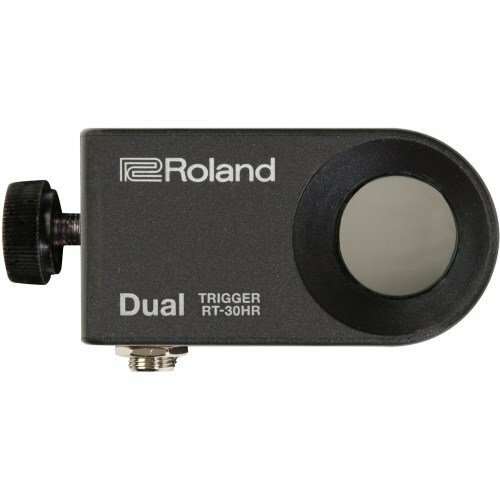 One of the most popular acoustic trigger modules is Roland TM-2. This is a quite affordable unit, characterized by the amazing simplicity of use. Setting up this module seems effortless since the number of buttons is minimal. Since functionality is the strongest point of this unit, there is a pretty large number of built-in sounds, around 160. There are also 11 effects as well as several other functions. Also, it comes with an SD card slot, so you can easily import your favorite presets. When it comes to connectivity, Roland TM-2 comes with one PA output, one headphone output and two MIDI ports (In and Out). Another convenient feature is that the unit can be power supplied both by cord and batteries, which is great for those who appreciate portability. Hello, I know this is an old article but I hope you can help me. 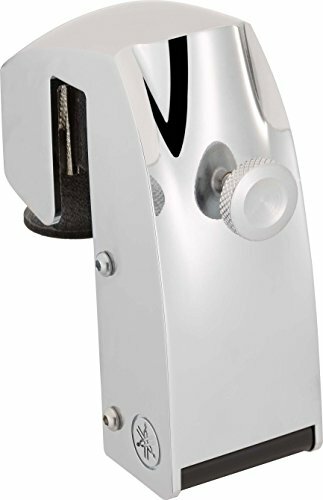 I’m considering getting a bass drum trigger and would connect it to my Alessis Sample pad 4, which has a trigger input. Would this be compatible with most triggers? I fear that the Roland triggers will only work with Roland modules/pads. Hi Timothy, Alesis SamplePad models are compatible with most brands and types of external pads and triggers. 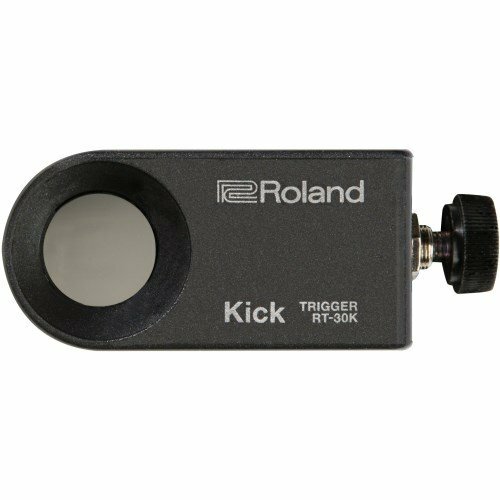 From what I remember, the 1/4″ cable is included with Roland Kick triggers and you can hook this into the trigger input of the SamplePad 4. Alesis SamplePads have had some issues reported with low volume levels of external triggers, but the output of these was always loud enough for me. Hope this helps! Thanks very much Mike. I ended up getting a second hand Yamaha DTX SP70 pad and it works well as a kick. It is a little on the quiet side, but it’s fine to practise with once I turn down other channels. I still haven’t found a good enough reason to get a trigger for my acoustic bass drum just yet though and will cross that bridge when I come to it.